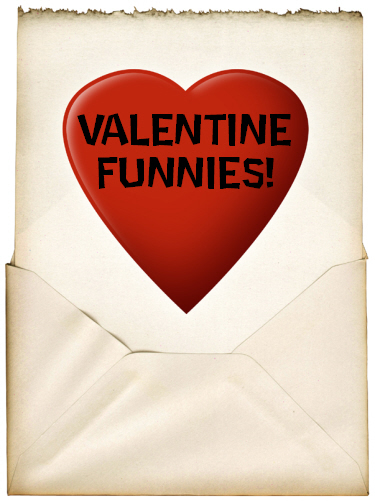 Welcome lovely person to this page full of funnies on the topic of Valentine’s Day, if you want to have a giggle and jokes about the big romatic day here are some little nuggets for you. Why did the banana go out with the prune? Because it couldn’t get a date. What happens if you fall in love with a French chef? What do squirrels give on Valentine’s Day? If you are young and not experienced with this special special occasion here are some Don’t Do’s! Enjoy. Funny quotes and best bits of Bubbles Little Britain character! Hah, I was making some valentines cards for my friends as a joke and was running out of ideas. Now I can include these! I’ve read this one somewhere and it made me laugh out loud, so I figured I’d share. this poem makes no sense, refrigerator. Cher is so right on!! hahahahaa luxury! I liked the silly joke and quote sections. The video was direct, but very pretentious while having a few good points.